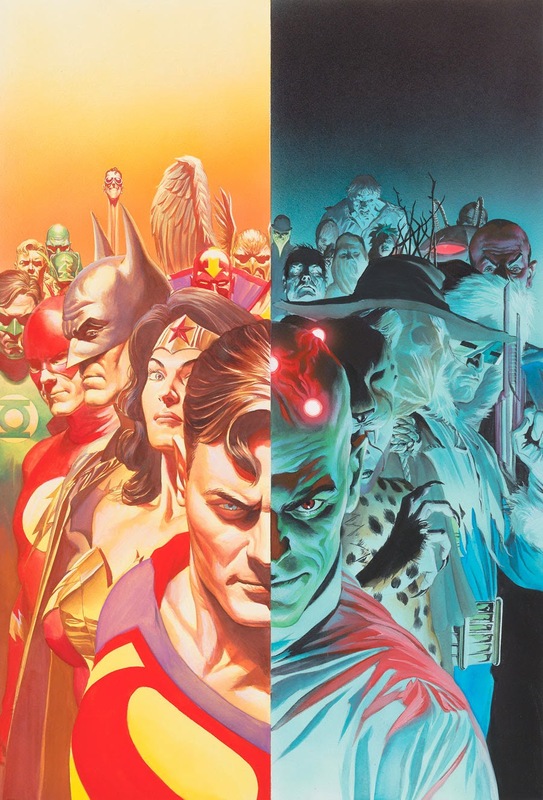 "Justice is a twelve-issue American comic book limited series published bimonthly by DC Comics from August 2005 through June 2007, written by Alex Ross and Jim Krueger, with art also by Ross and Doug Braithwaite. Its story involves the superhero team known as the Justice League of America confronting the supervillain team the Legion of Doom, after every supervillain is motivated by a shared dream that seems to be a vision of the planet's destruction which they intend to avoid." 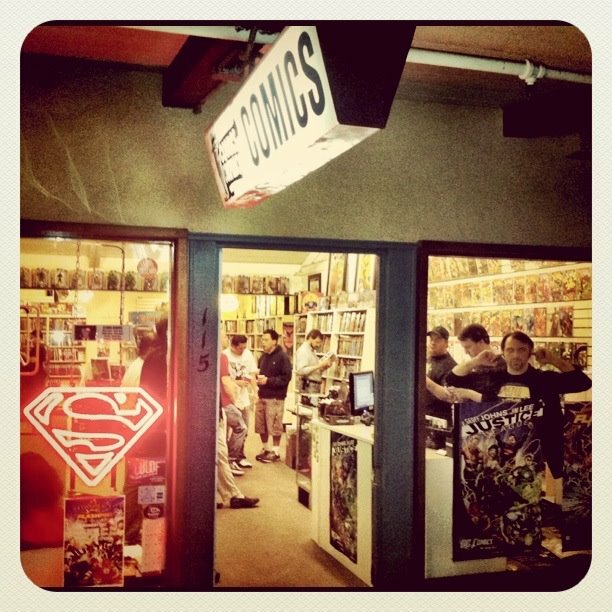 Charlie's selection for this month's Comic Conspiracy Comic Book Club is Justice written by Alex Ross and Jim Krueger, with art also by Ross and Doug Braithwaite. The book looks amazing just from the cover art, and Charlie has been wanting to expose the readers of this comic book club to Alex Ross's amazing work. I personally have had this title on my to read list for a long time. So, I am excited to dive in, and get a huge dose of Alex Ross. From what I have heard about this book it is a worthy addition to anyone's collection, and I can't wait to get to it. We will discuss this title at length on Episode 160 of the Comic Conspiracy, which we will record on May 26, 2014.